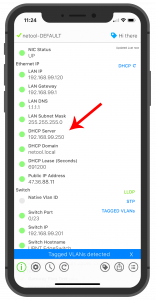 Updates: Added DHCP server IP, DHCP Lease time, DHCP domain name. Fixed some bugs and updated UI for Reverse Discovery via Packet Capture. Increase responsiveness with some back end changes.